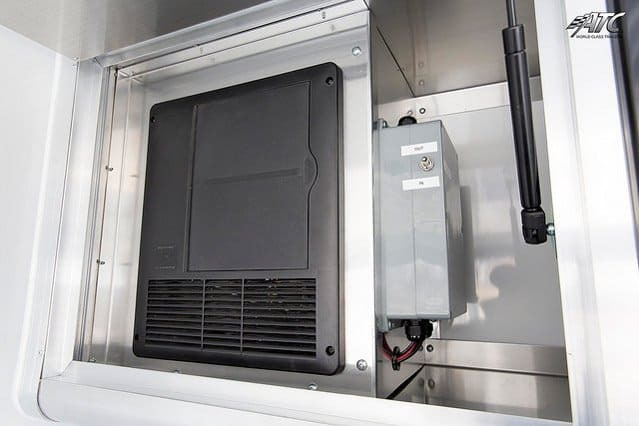 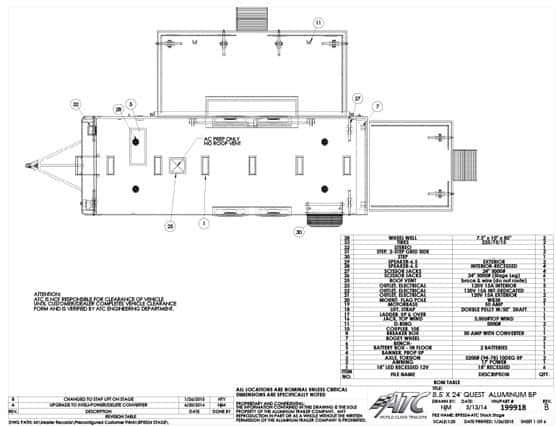 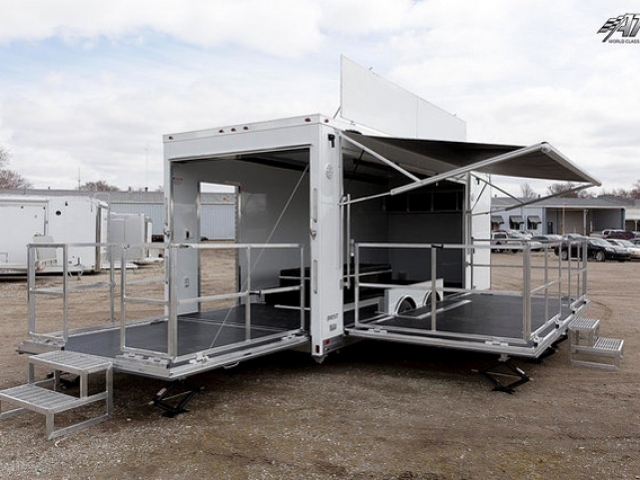 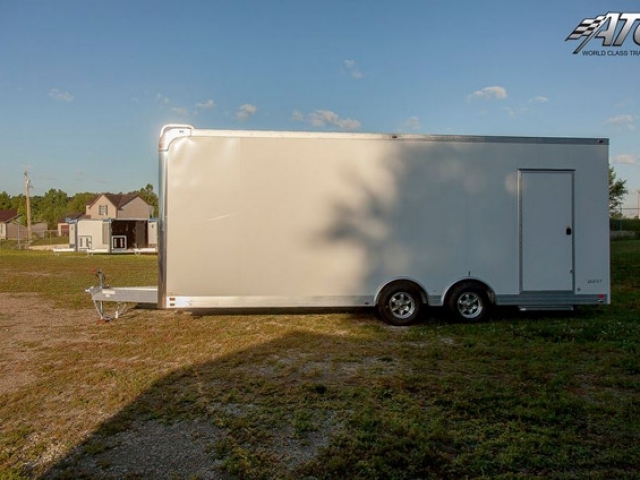 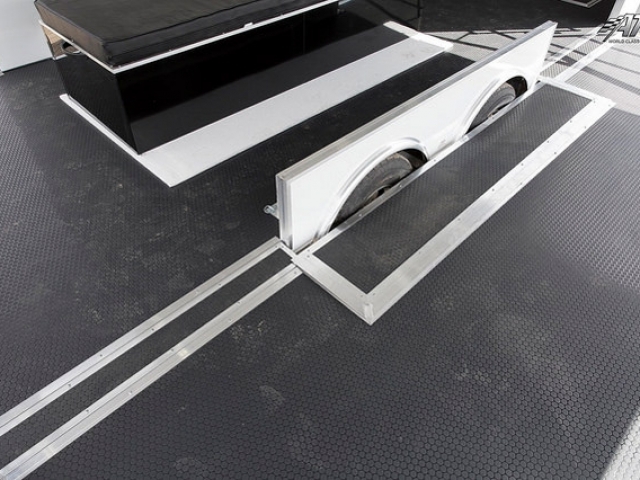 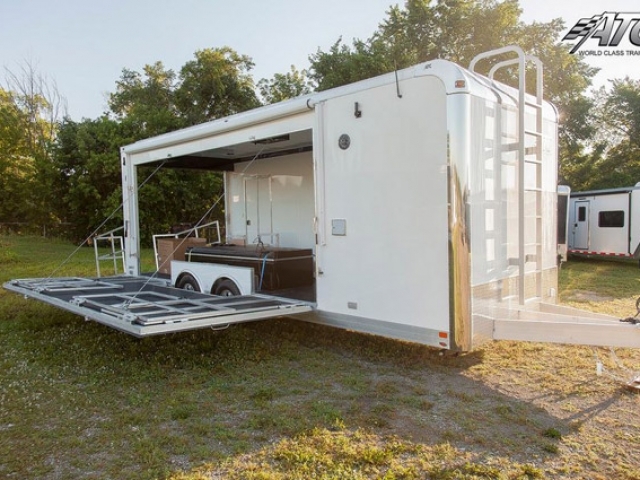 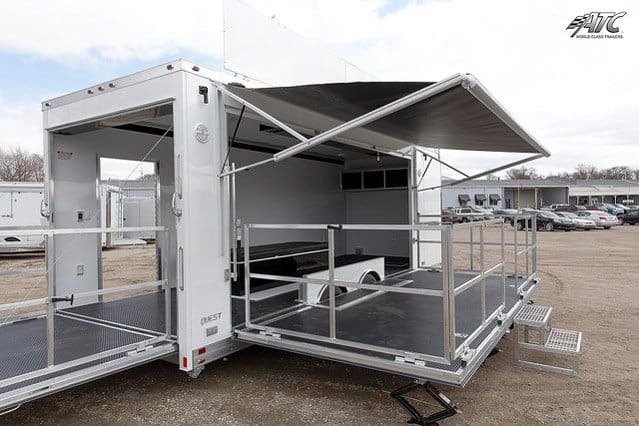 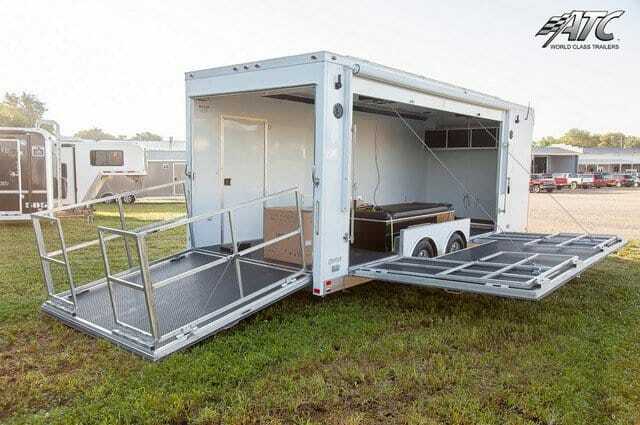 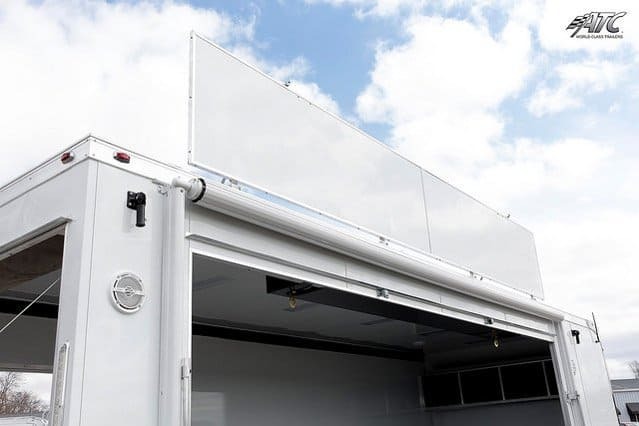 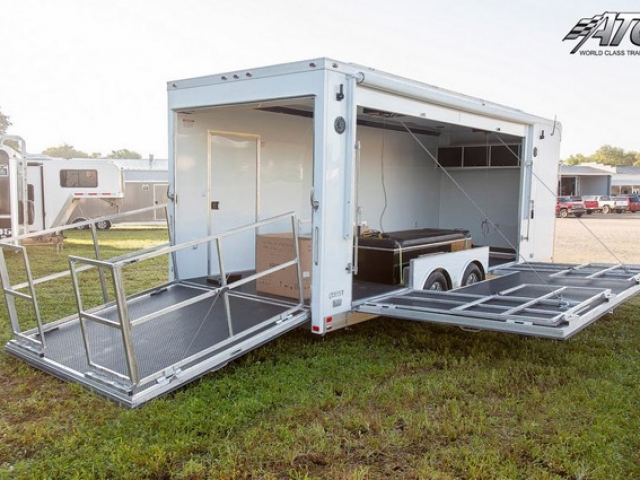 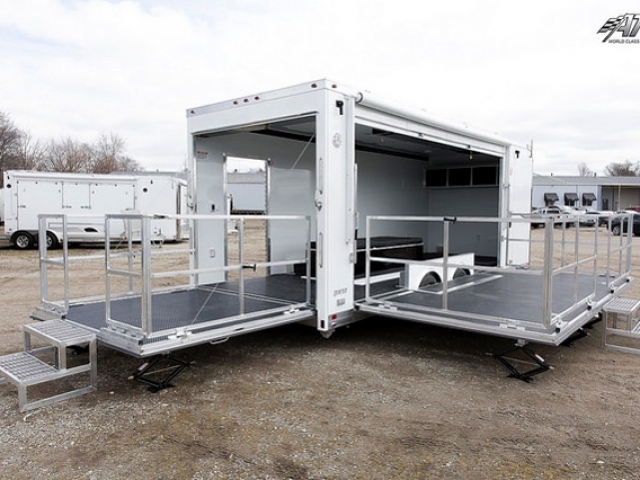 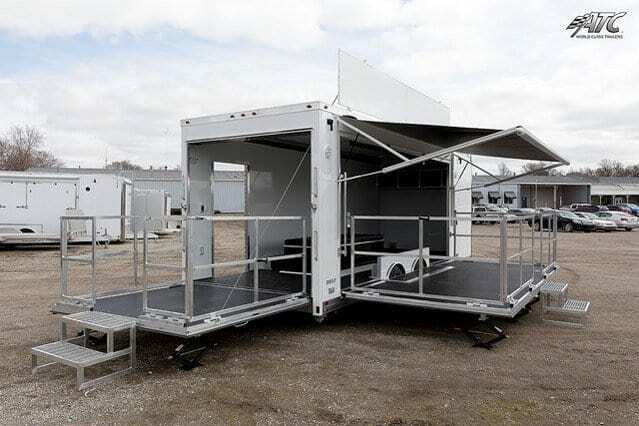 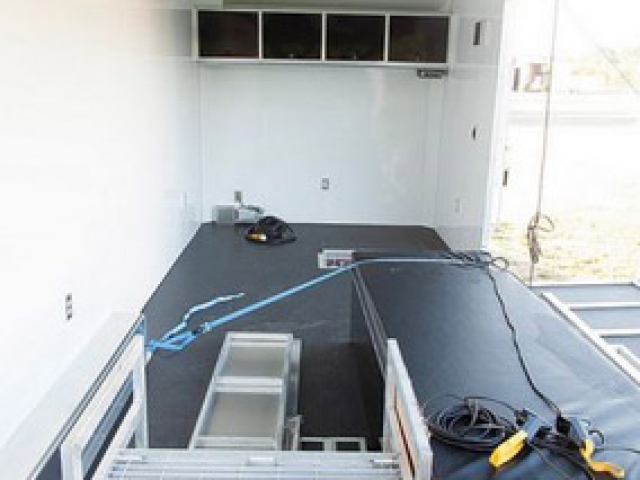 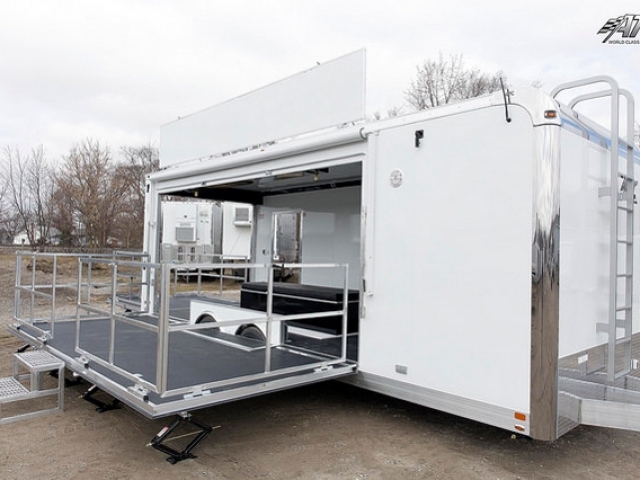 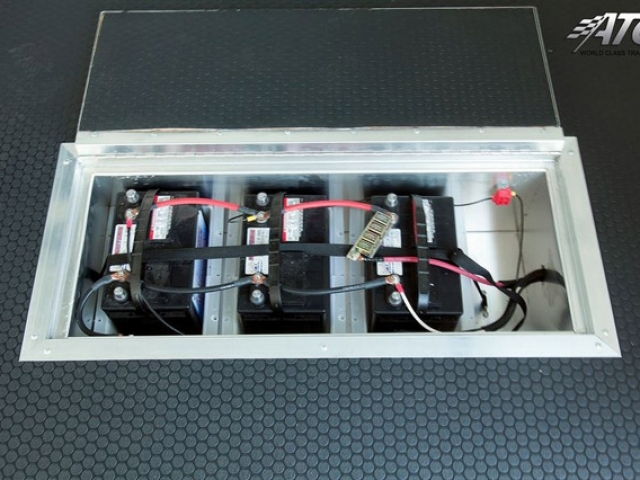 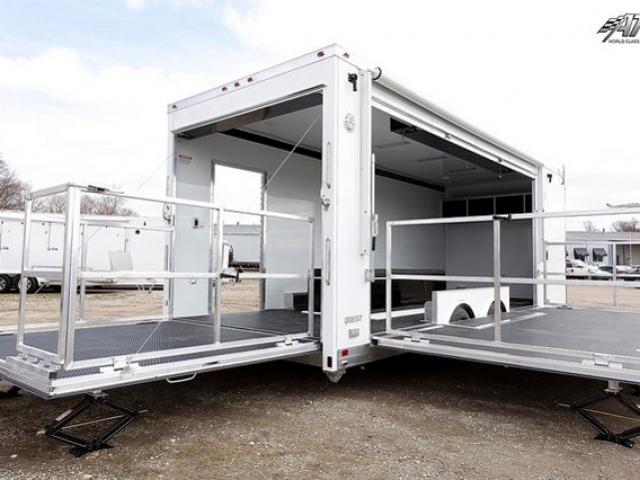 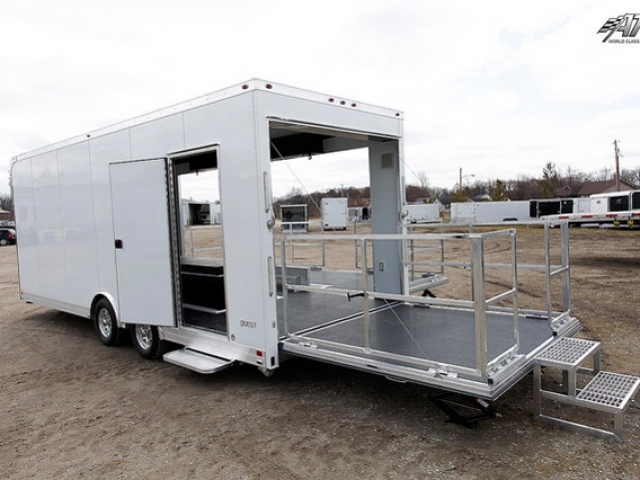 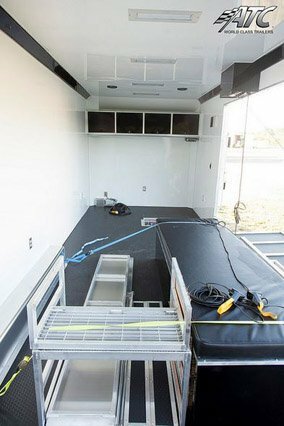 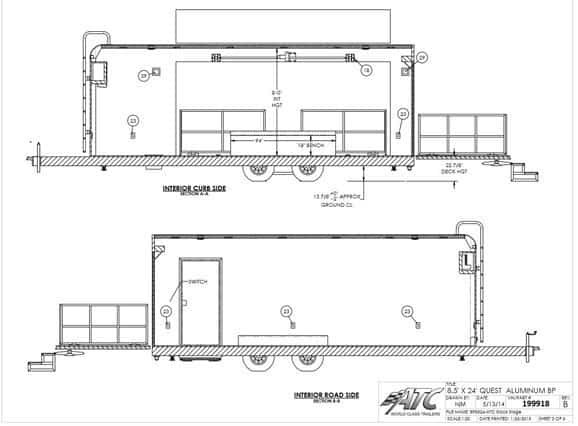 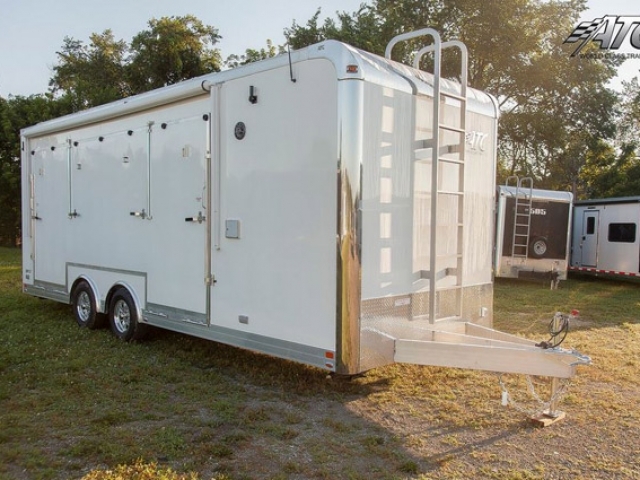 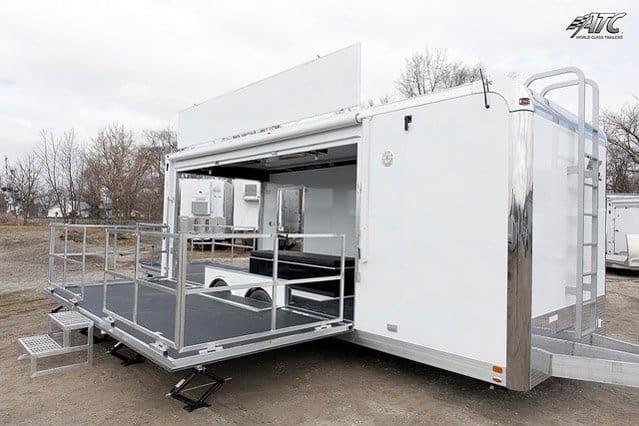 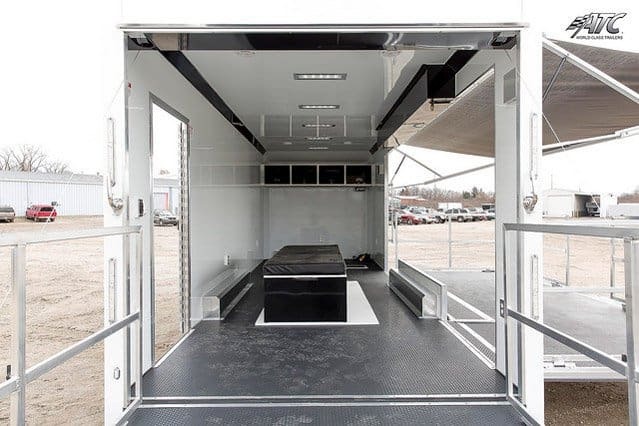 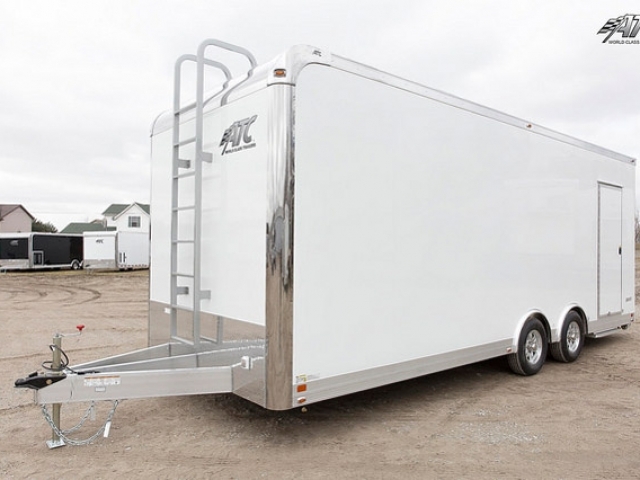 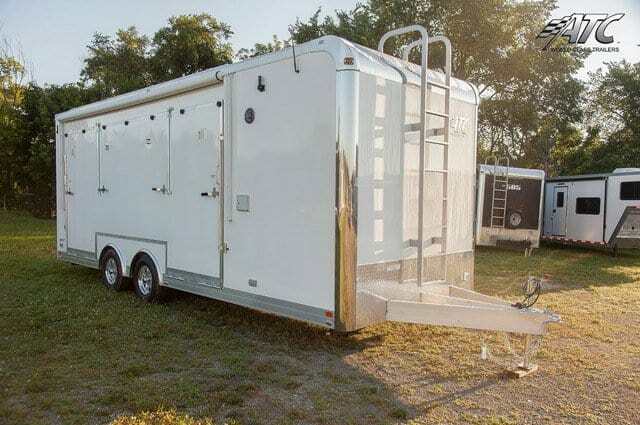 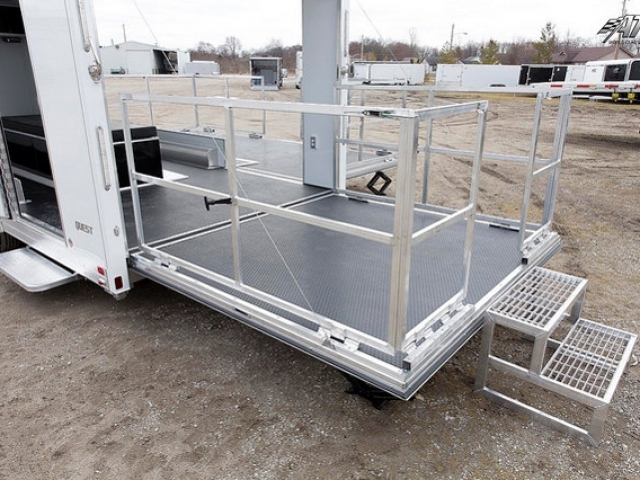 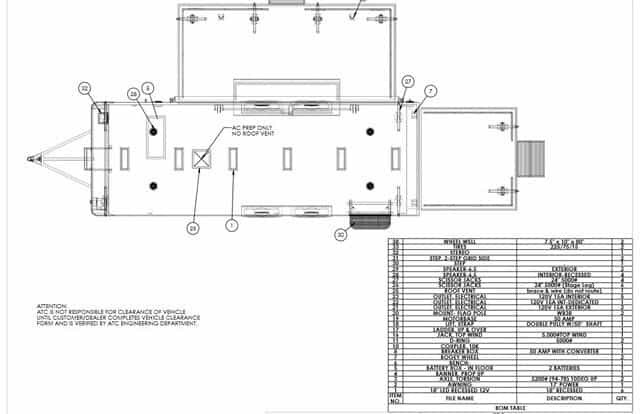 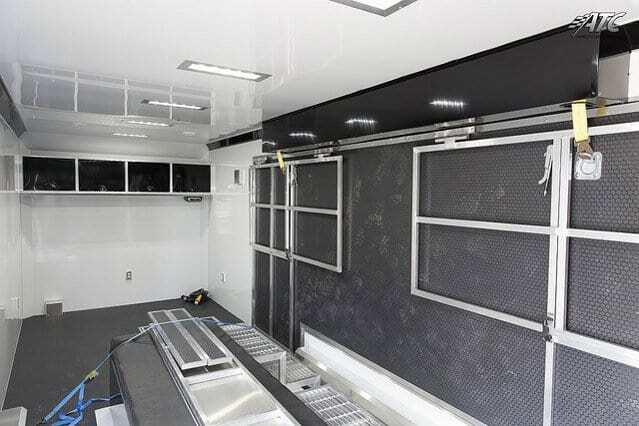 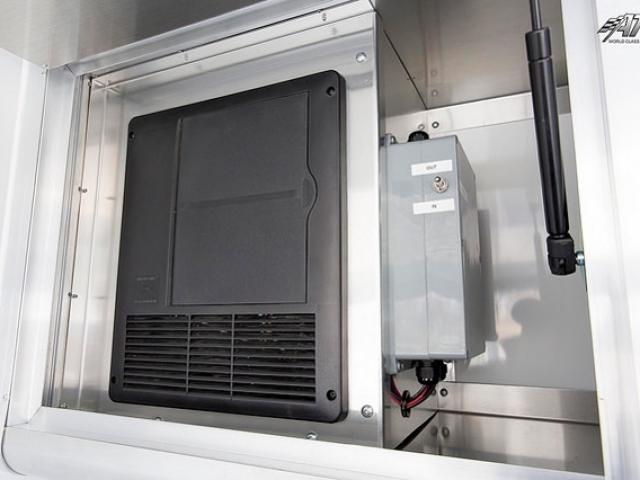 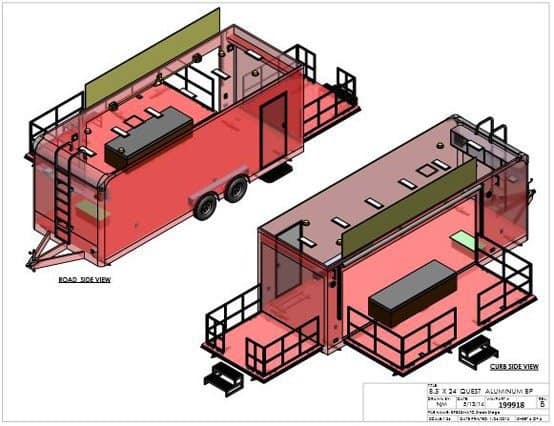 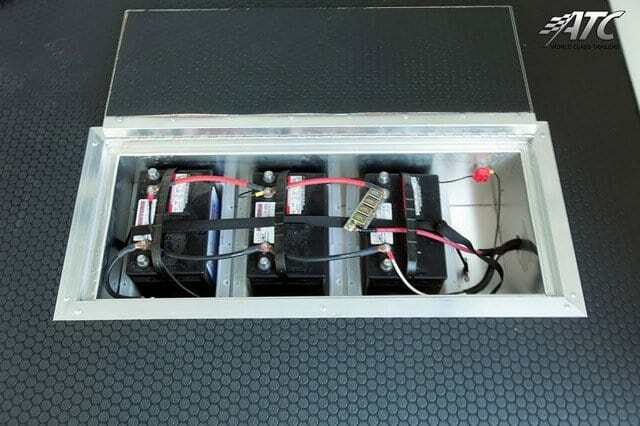 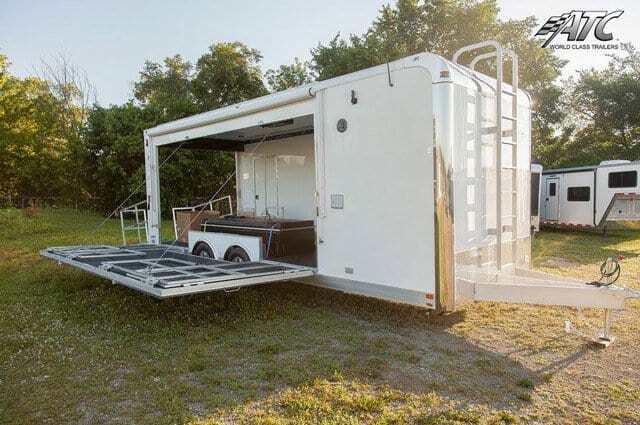 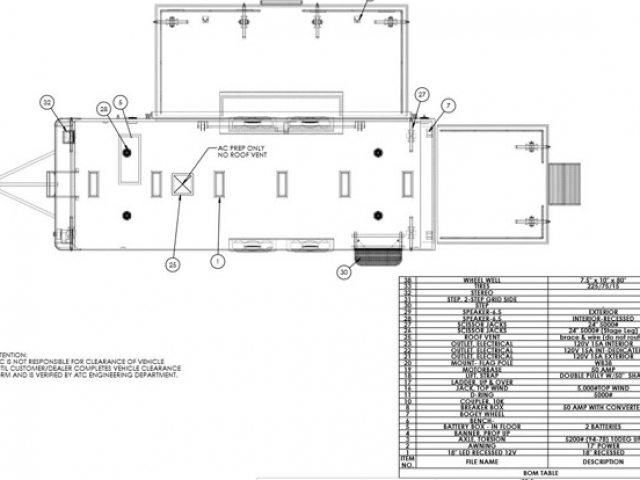 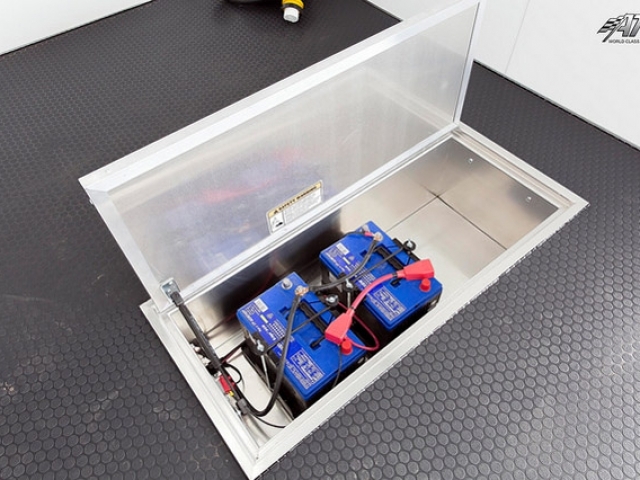 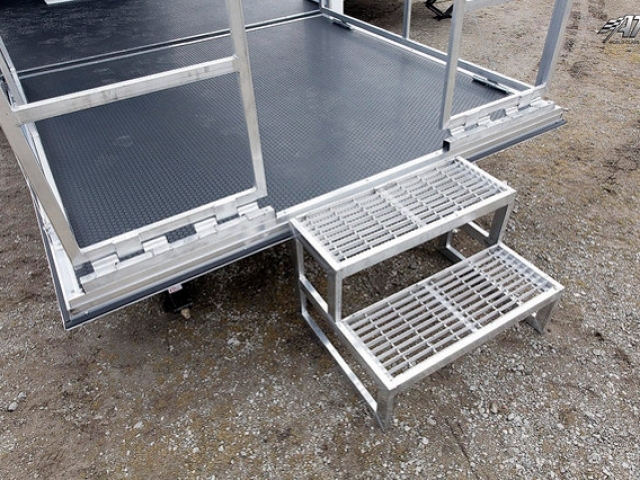 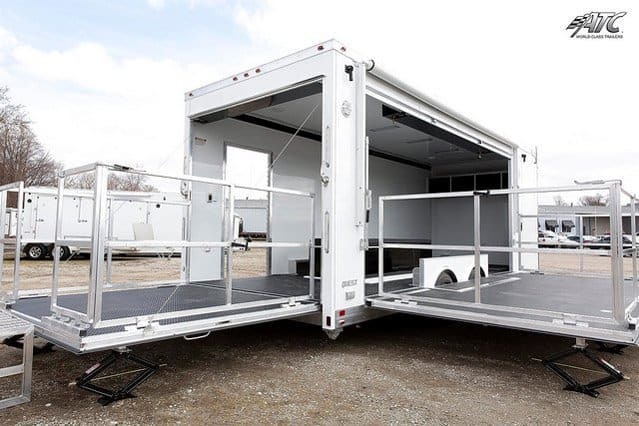 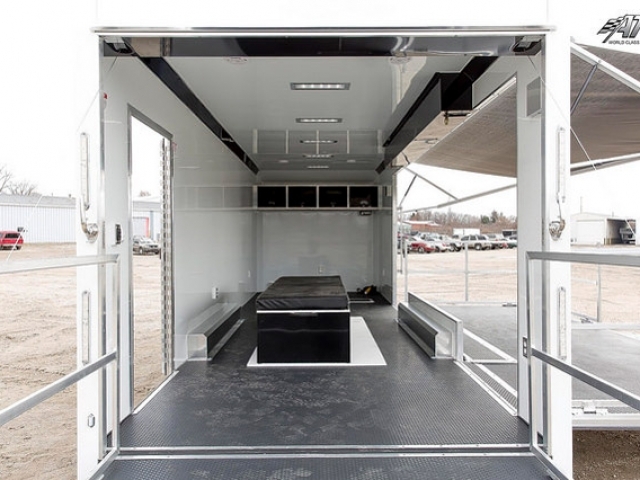 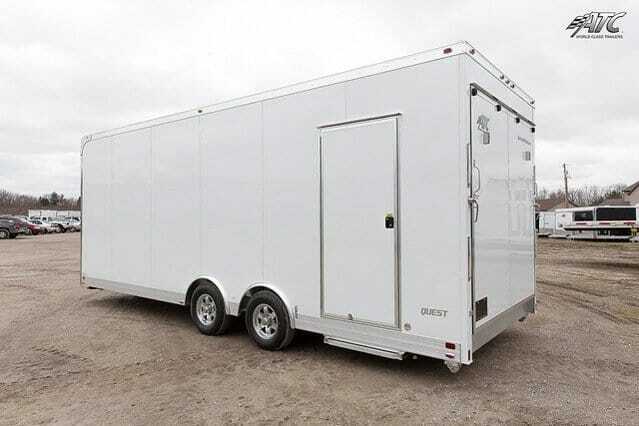 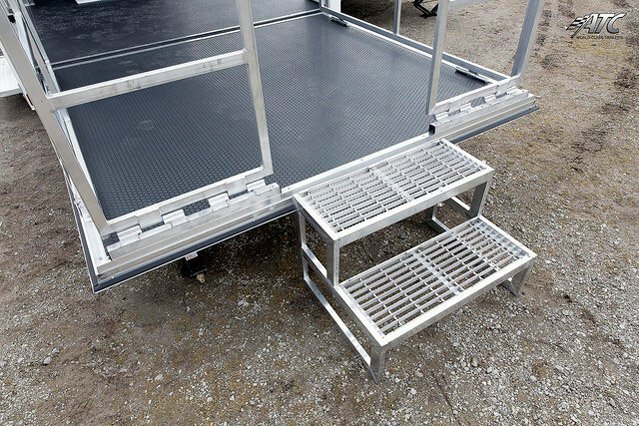 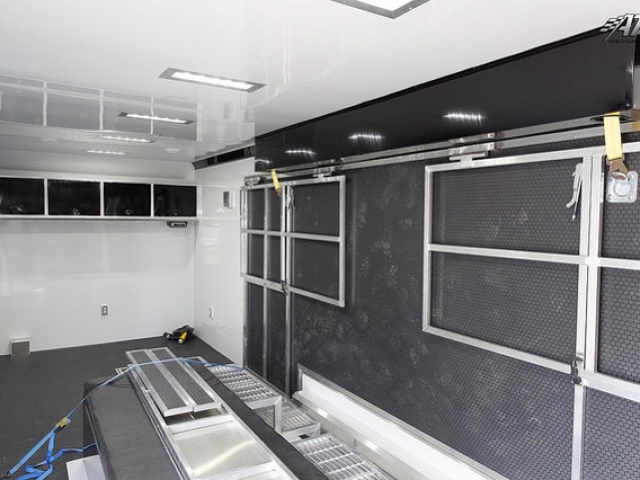 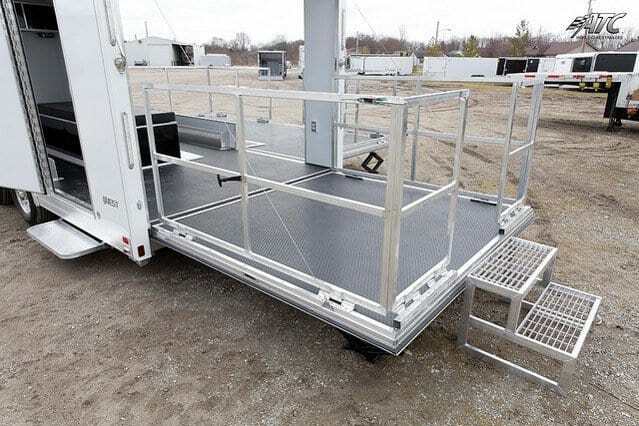 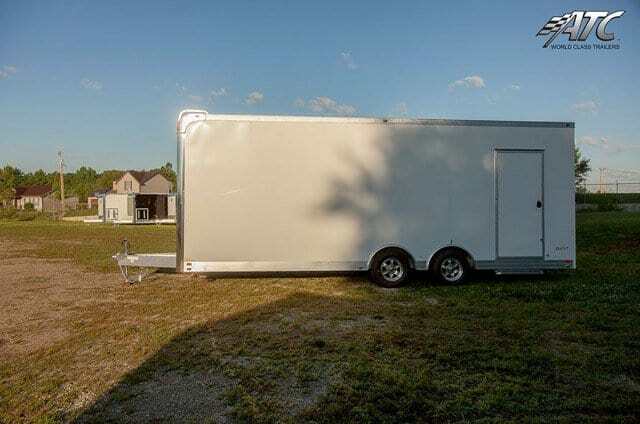 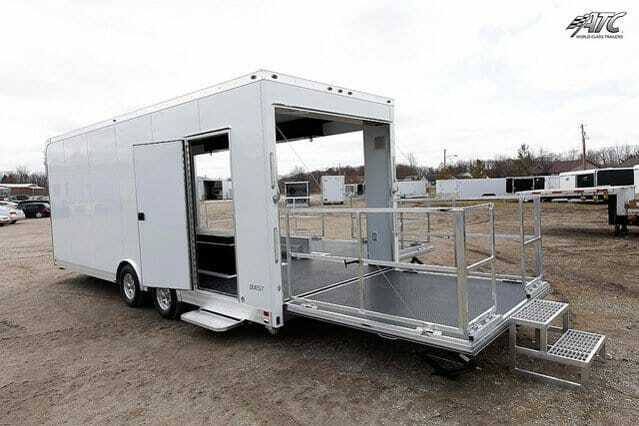 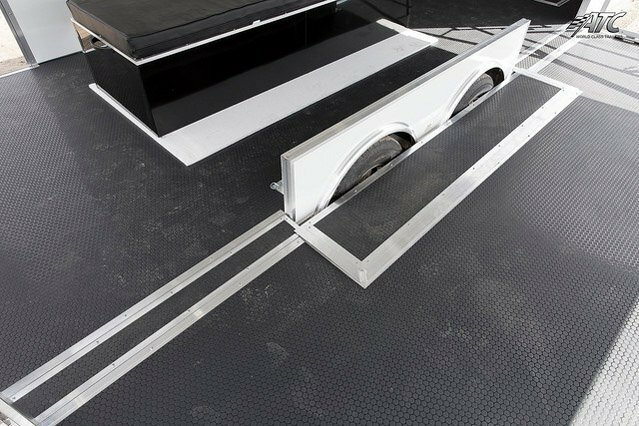 This 24ft mobile marketing stage trailer features an all aluminum frame for an empty weight of only 5270 pounds, 8″ aluminum frame, 16′ fold down side stage and rear ramp/stage with folding rails and steps, removable bench seat over the interior wheel well, front overhead cabinets, walk on roof with display banner, awning over stage, AM/FM/CD/MP3 stereo system with recessed speakers, and 50 amp electrical. 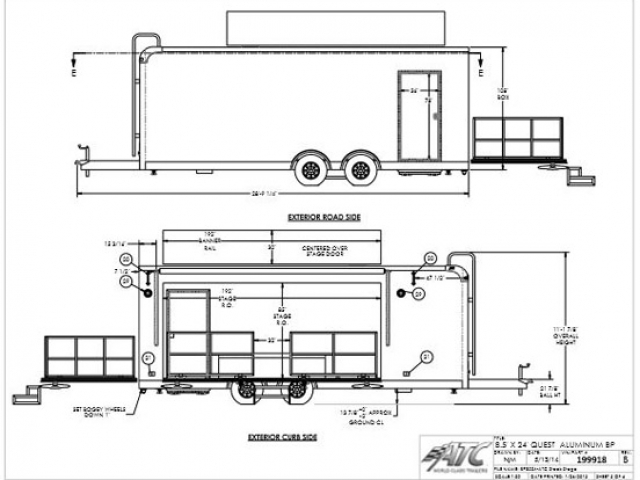 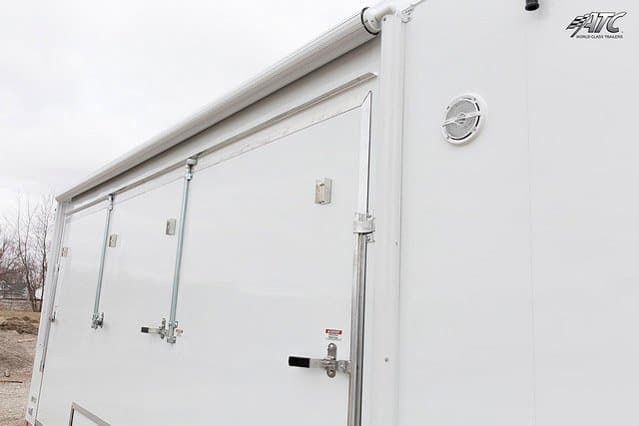 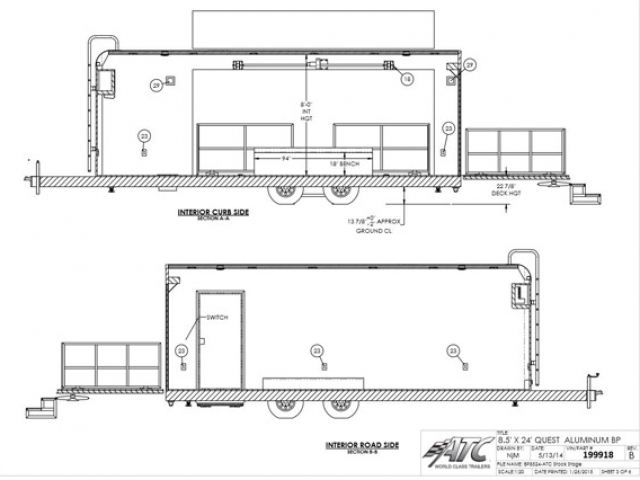 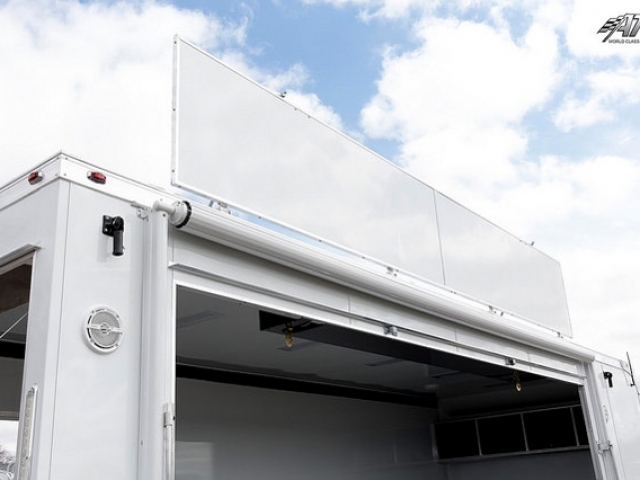 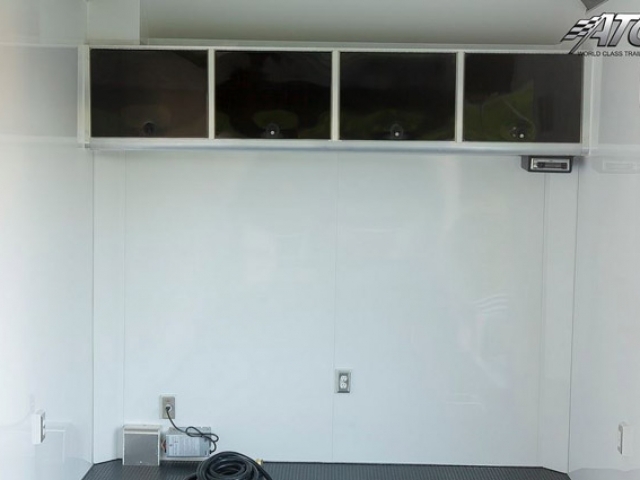 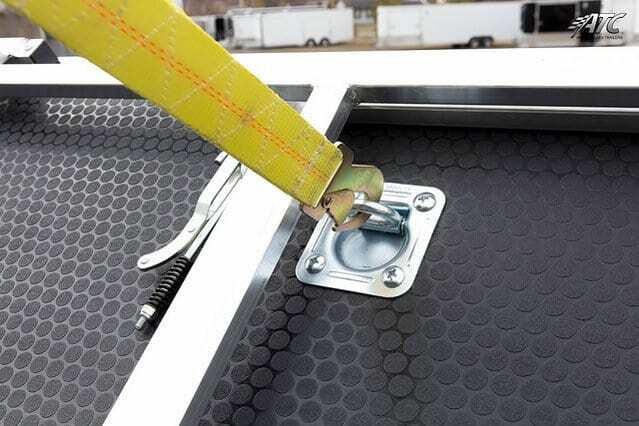 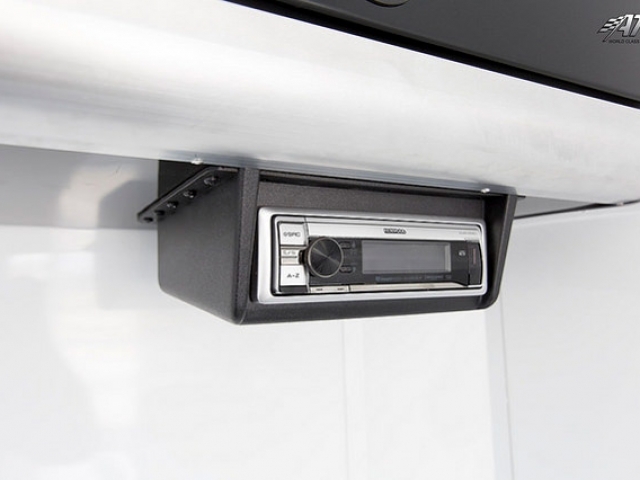 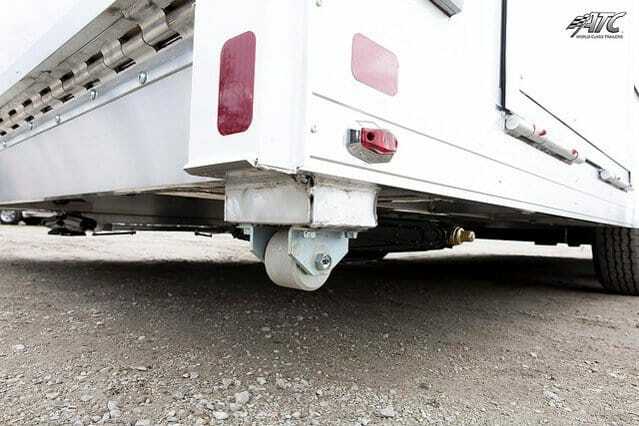 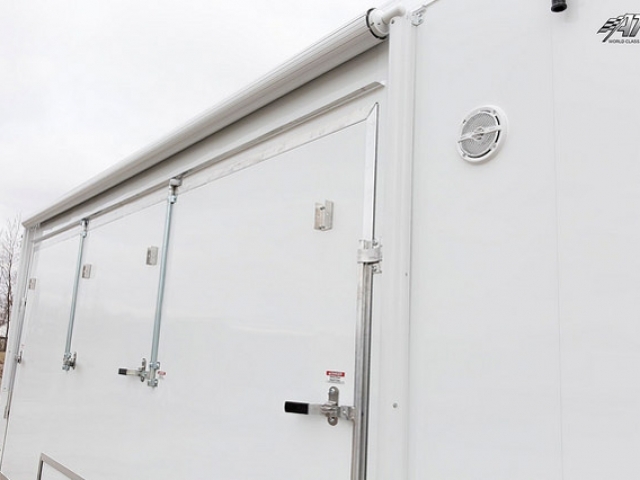 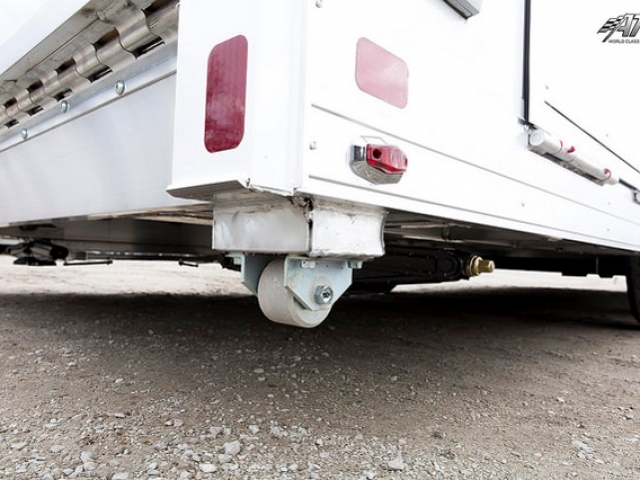 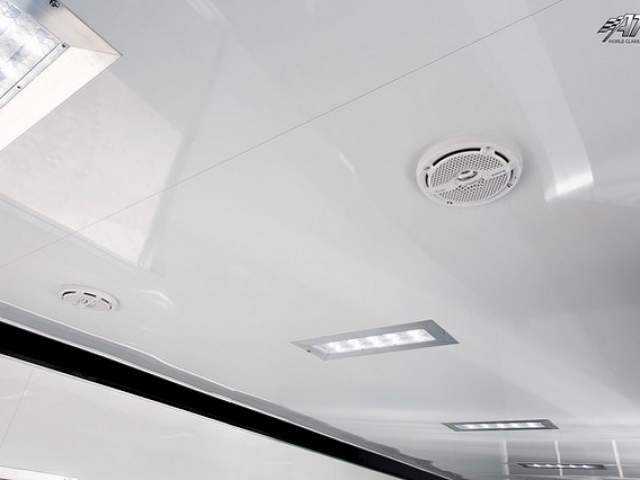 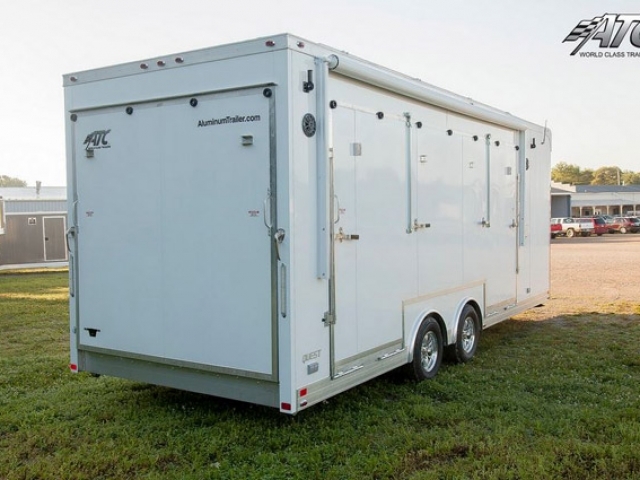 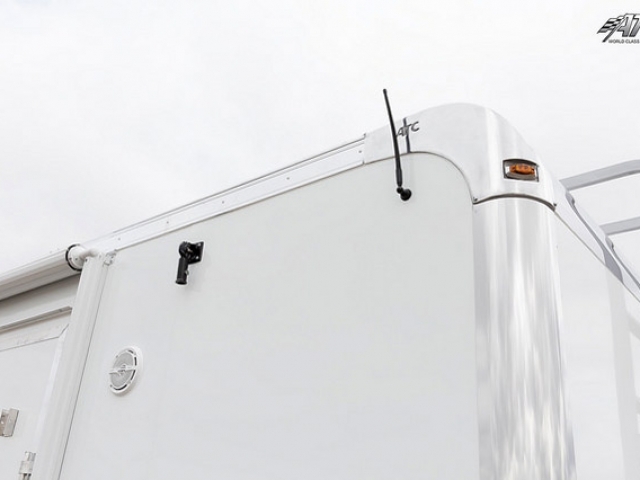 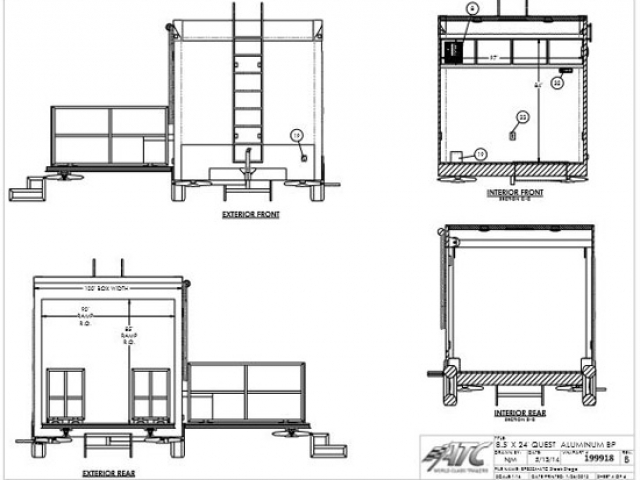 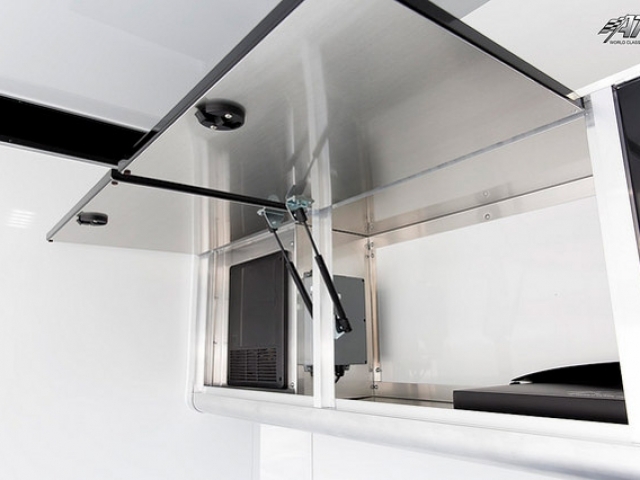 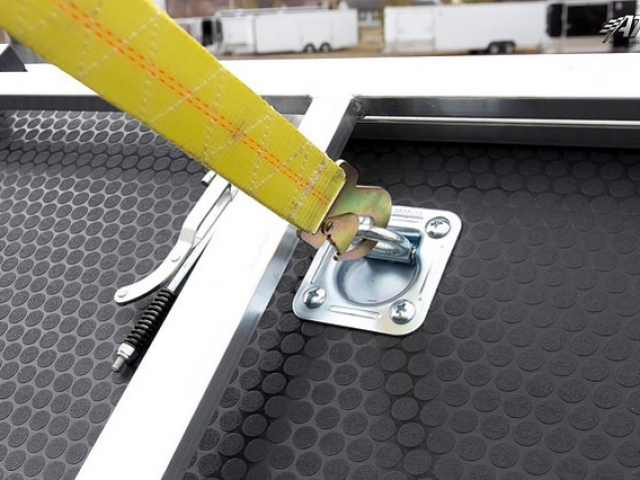 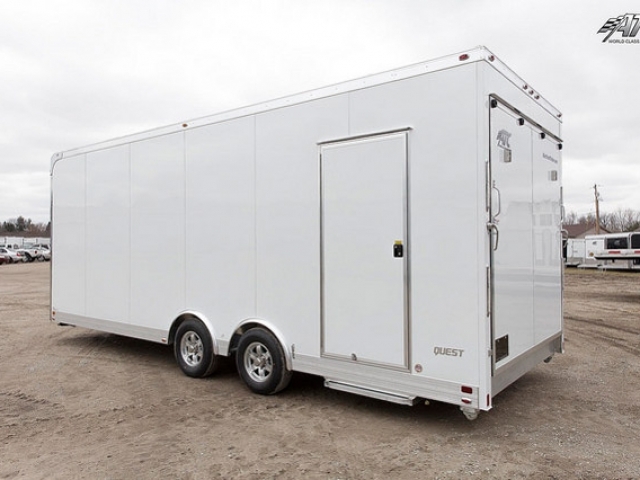 Marketing trailers can be customized in all sizes from 10′ up to 53′ lengths with thousands of custom designs. 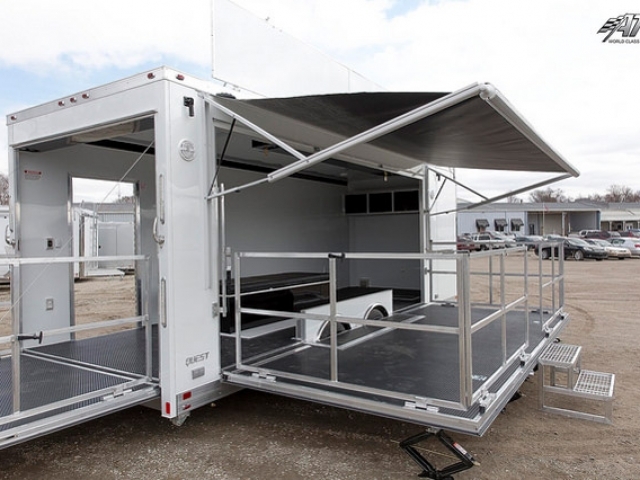 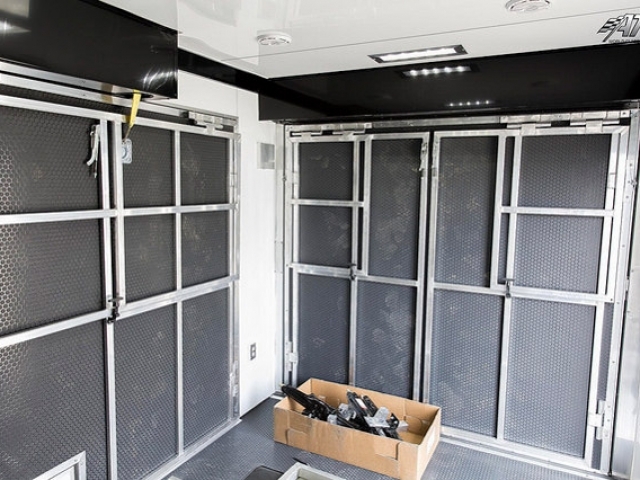 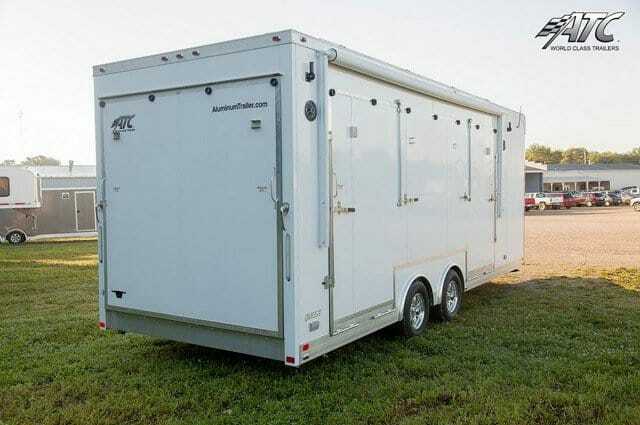 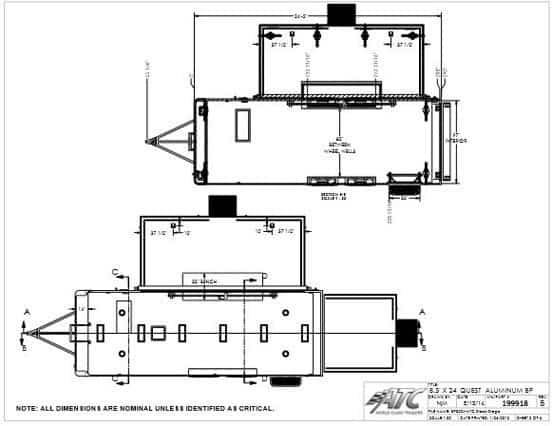 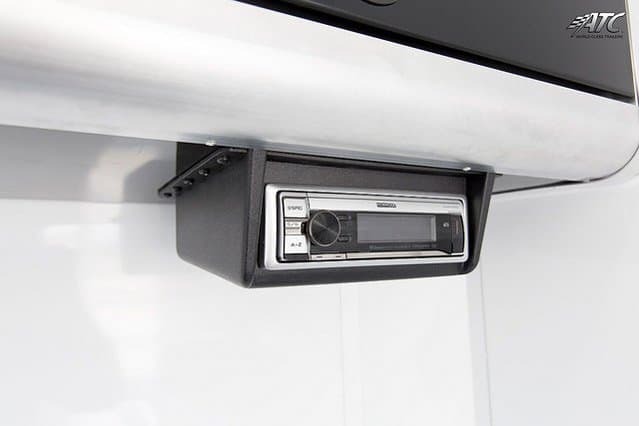 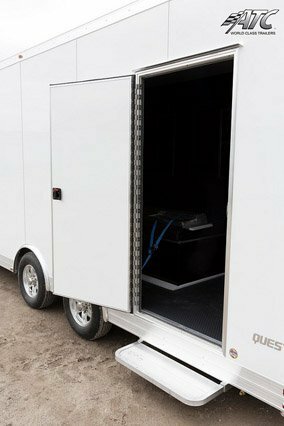 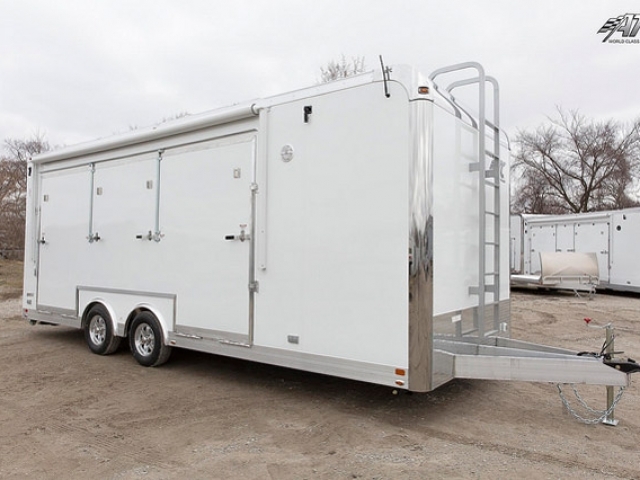 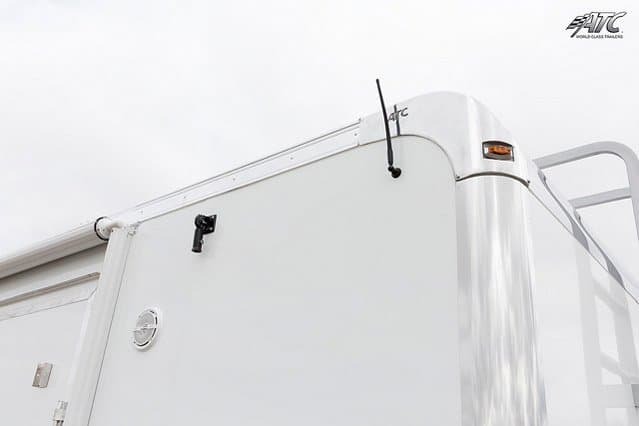 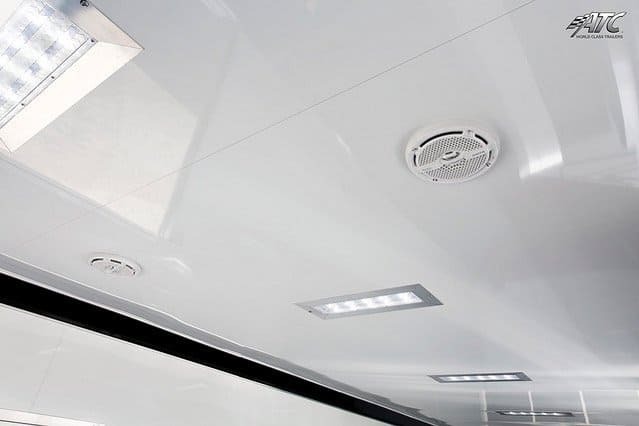 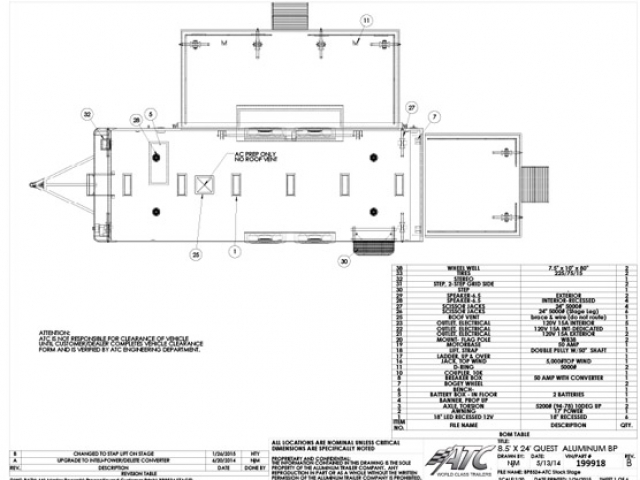 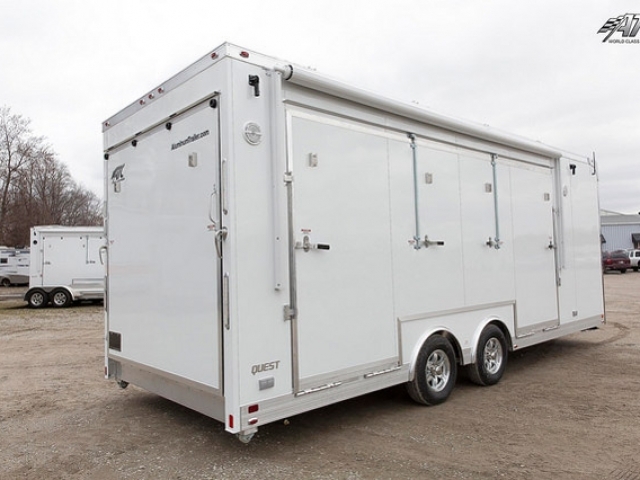 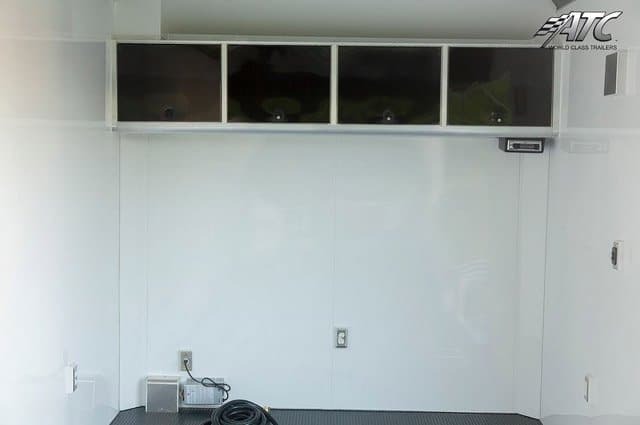 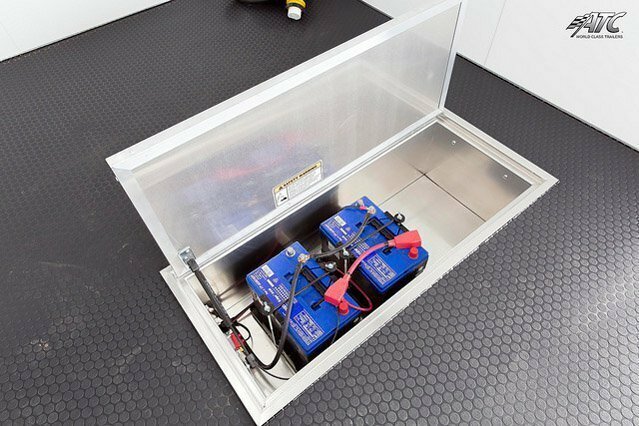 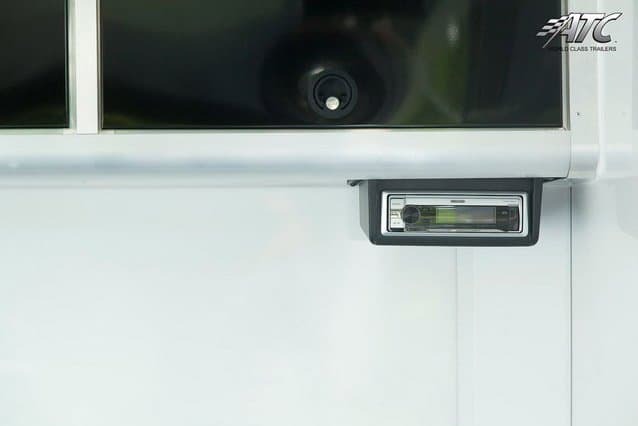 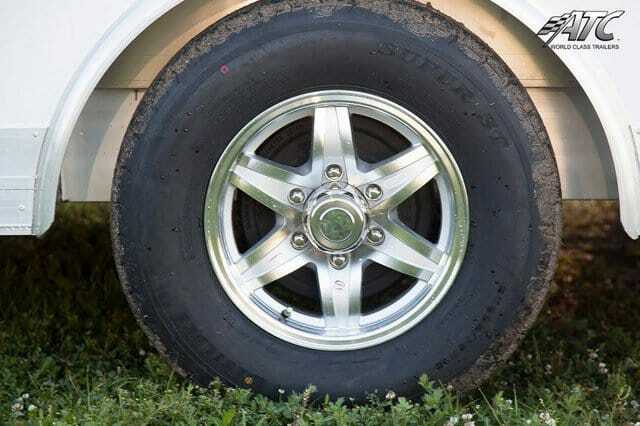 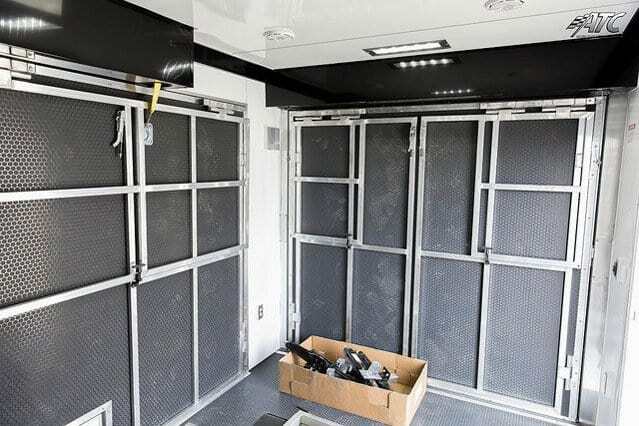 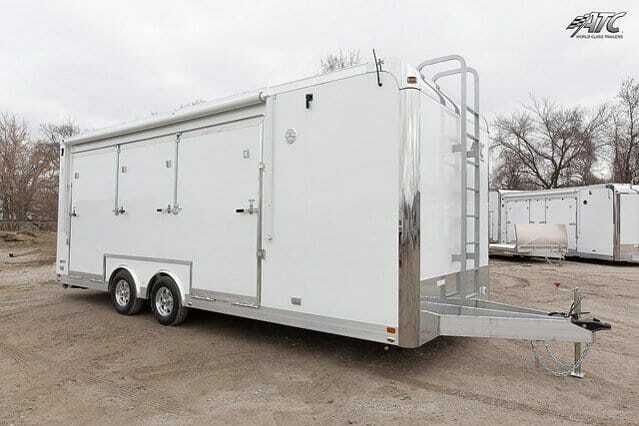 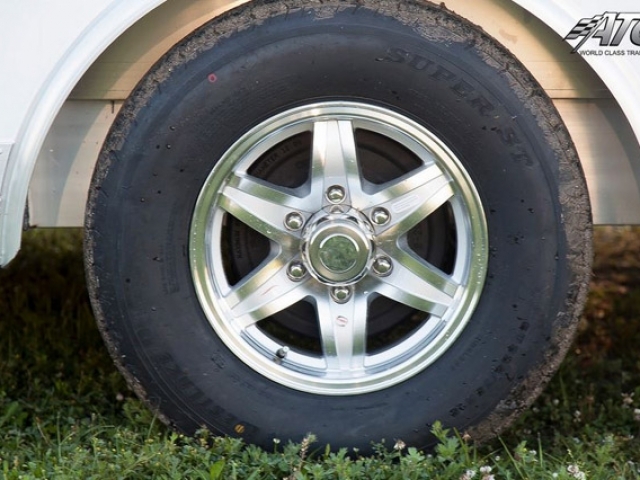 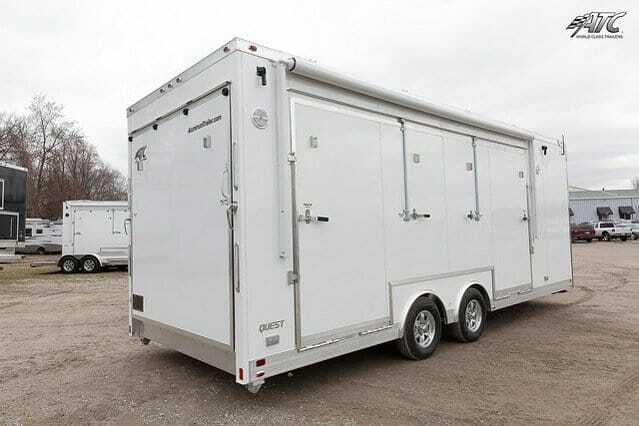 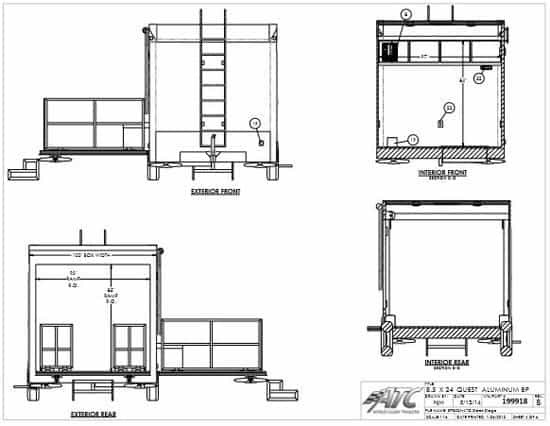 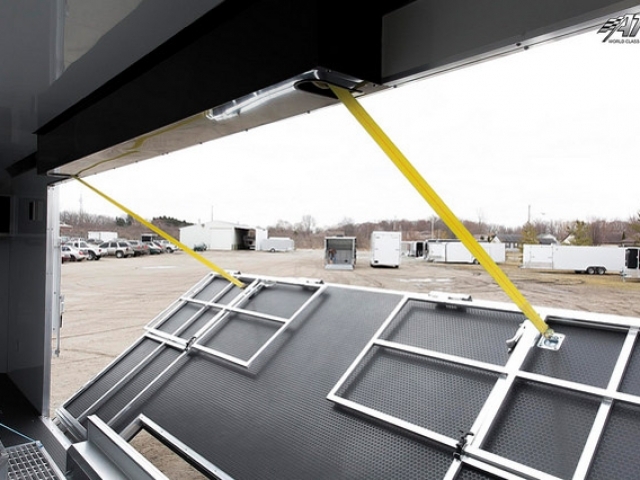 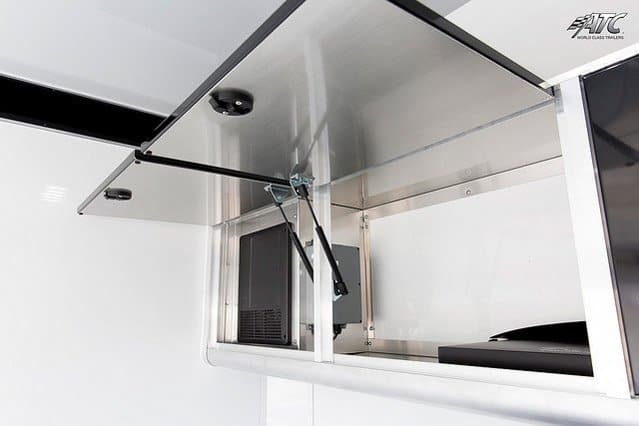 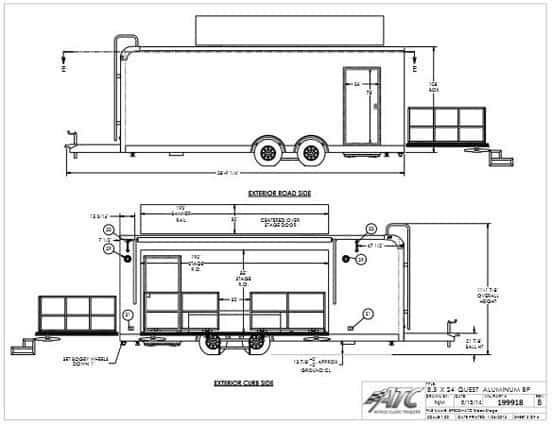 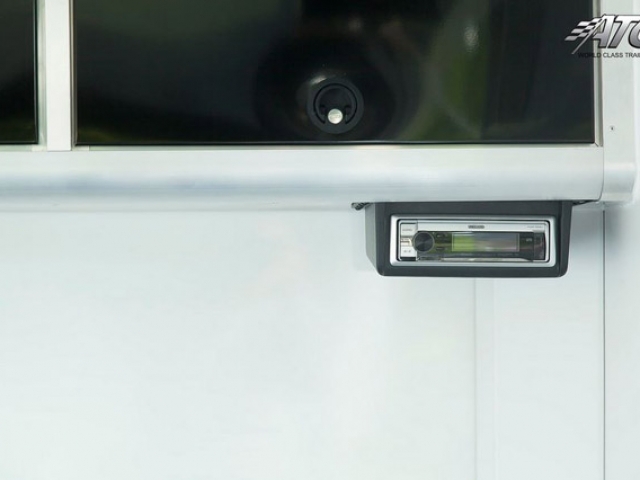 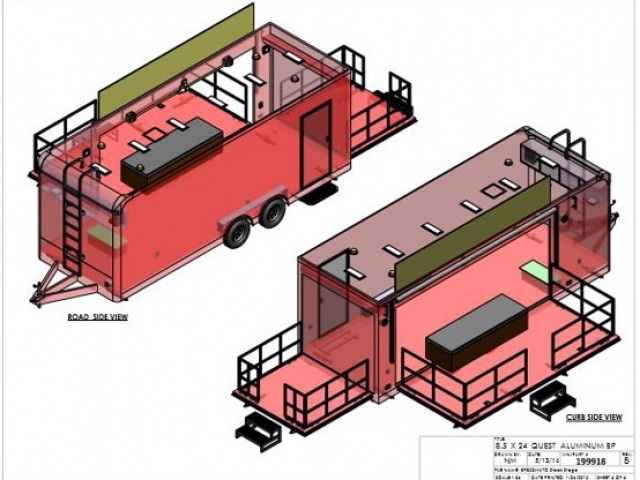 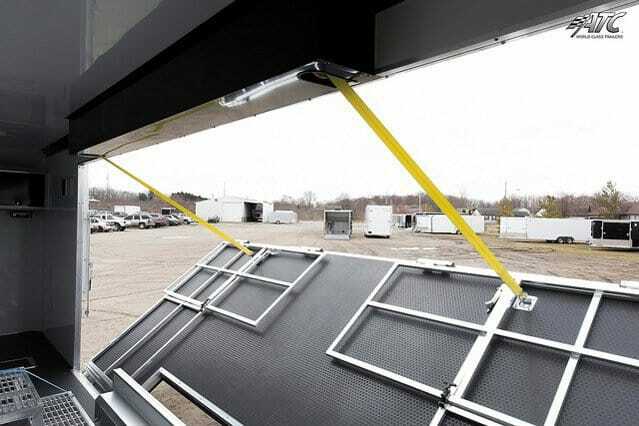 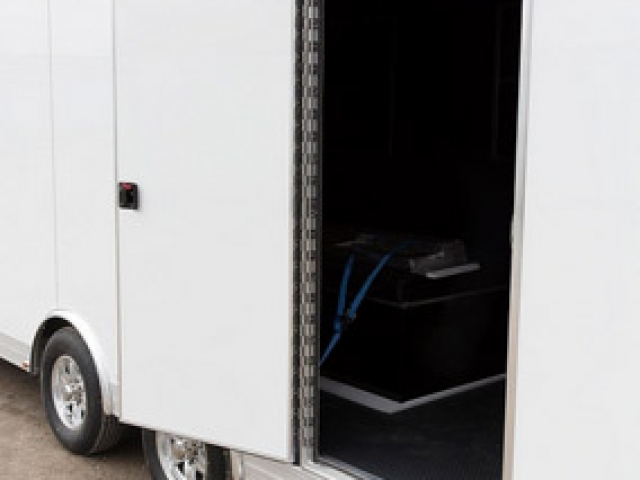 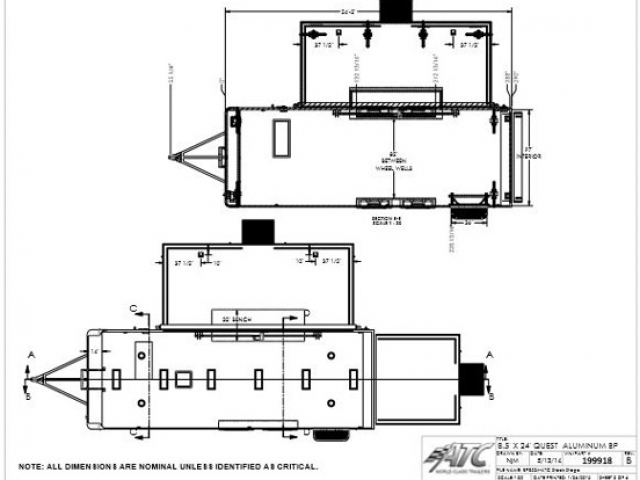 View some of our previous stage marketing trailers, request a quote, or call at +1 866) 545-3065.